This book is a portrait of Ancient Greece—but not as we know it. Few people today appreciate that Greek civilization was spread across the Middle East, or that there were Greek cities in the foothills of the Himalayas. Philip Matyszak tells the lost stories of the Greeks outside Greece, compatriots of luminaries like Sappho, the poet from Lesbos; Archimedes, a native of Syracuse; and Herodotus, who was born in Asia Minor as a subject of the Persian Empire. Stretching from the earliest prehistoric Greek colonies around the Black Sea to Greek settlements in Spain and Italy, through the conquests of Alexander and the glories of the Hellenistic era, to the fall of Byzantium, The Greeks illuminates the lives of the Greek soldiers, statesmen, scientists, and philosophers who laid the foundations of what we call “Greek culture” today—though they seldom, if ever, set foot on the Greek mainland. Instead of following the well-worn path of examining the rise of Athenian democracy and Spartan militarism, this book offers a fresh look at what it meant to be Greek by instead telling the story of the Greeks abroad, from modern-day India to Spain. "A colorful cavalcade of soldiers, scholars, philosophers, and political leaders who spread Greek culture so far afield populate the pages of The Greeks, and thanks for Matyszak’s crisp prose and wry humor, his tale never flags." 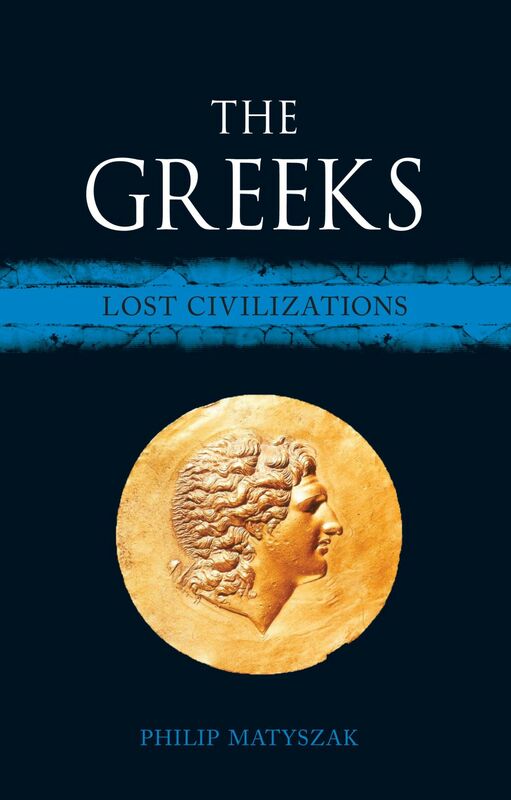 "In this book Matyszak deliberately ignores the well-trodden fifth century BC on mainland Greece and concentrates on the Greeks of the diaspora. This spans a period of nearly 1900 years between 700 BC and AD 1200 and a geographic spread from Spain to Bactria. To cover this at all in less than two hundred pages is a tour de force and to cover it with such a breadth of knowledge and with such clarity is a triumph. The sixty-eight, mainly colored, illustrations are attractive and relevant, and the timeline at the start of the book is an essential tool. . . . The Greeks is a masterful and eminently readable account of an unfamiliar theme and is excellent value for money."